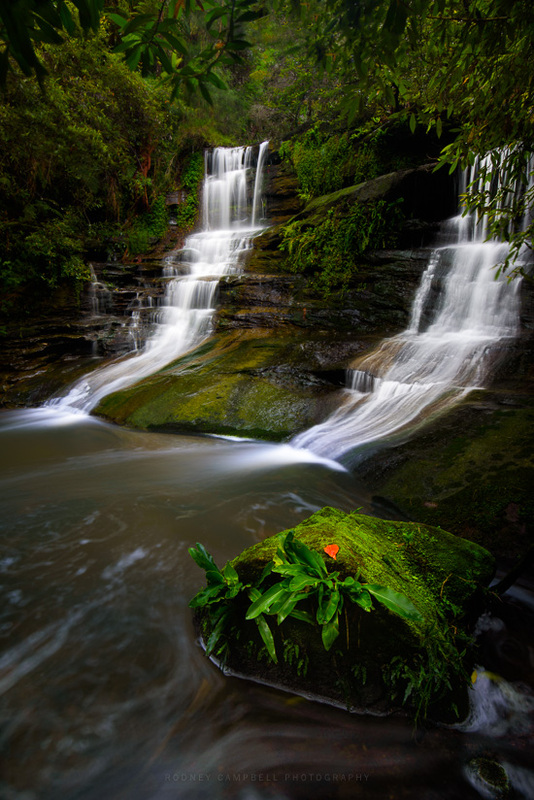 Another angle on the horseshoe falls at the bottom of Sugarloaf creek here on the leafy north shore of Sydney. 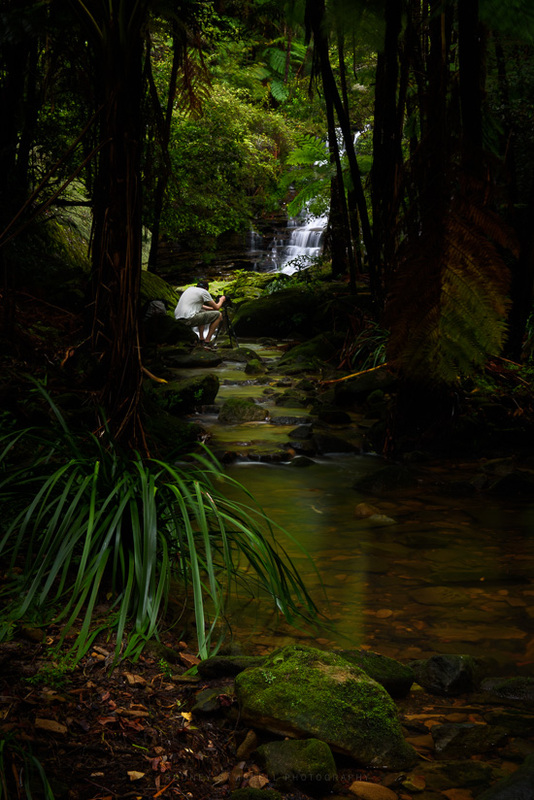 This is my favourite composition of these falls and I had to work hard to get the water flow to look right both on the falls and in the pooling water below. I hope you like the addition of that small bright red leaf which I felt added that little something to the scene. Gerry doing his thing :). I’m downstream of both him and the horseshoe falls above.